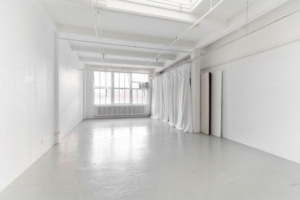 This white boxed creative showroom in the artistic area of Chelsea is perfect for brands looking to host a Art Events, Fashion Showroom or Private Event. This spacious loft space has a sophisticated minimal feel with large windows and skylight which allow plenty of natural light into the space, creating a brilliant ambience. The interiors here are clean with polished concrete floors, white walls and high ceilings. 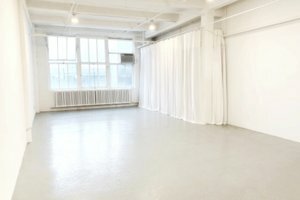 The space has a one-of-a-kind atmosphere and a unique open plan adds a compact feel to the space. 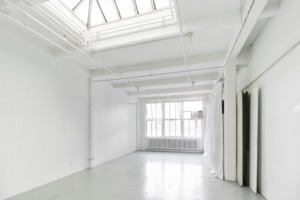 This space offers basic amenities including chairs and tables and can accommodate a variety of art events. 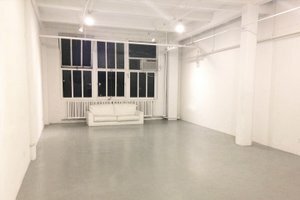 Located close to The High Line and Chelsea Park, this showroom is easily accessible and a great location for creative pop-ups and fashion showrooms.